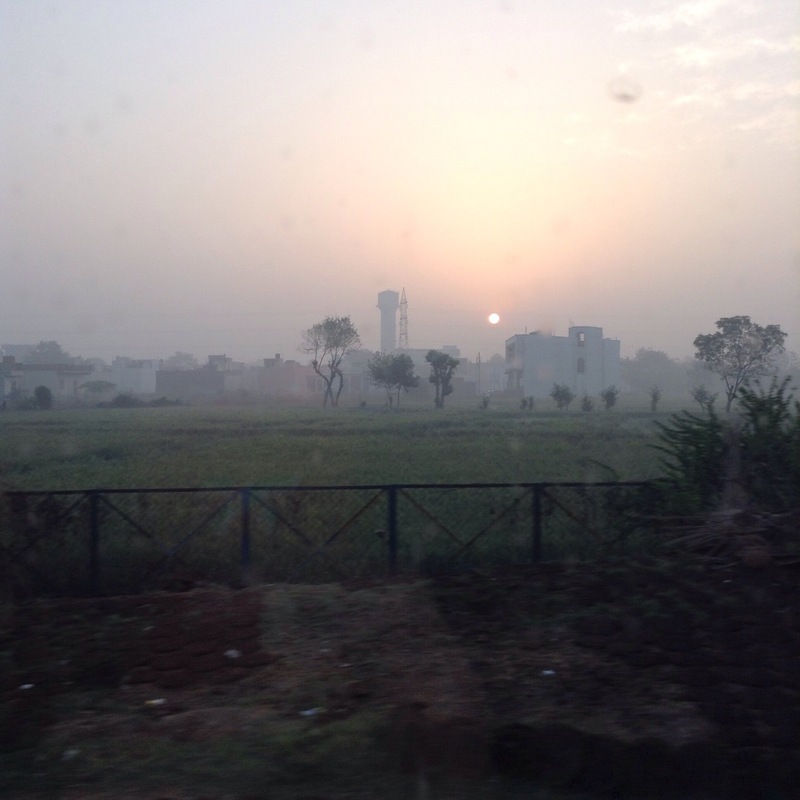 – A tiny orange sun rising over the Indian countryside. – Hundreds of Indians confidently delivering their morning poo along the railways, facing the train that was taking us from Delhi to Agra (yes I have written more glamorous sentences in my life). – A French Insta-yogini performing an Insta-asana for an Insta-photo in a Muslim tumb. No comment. 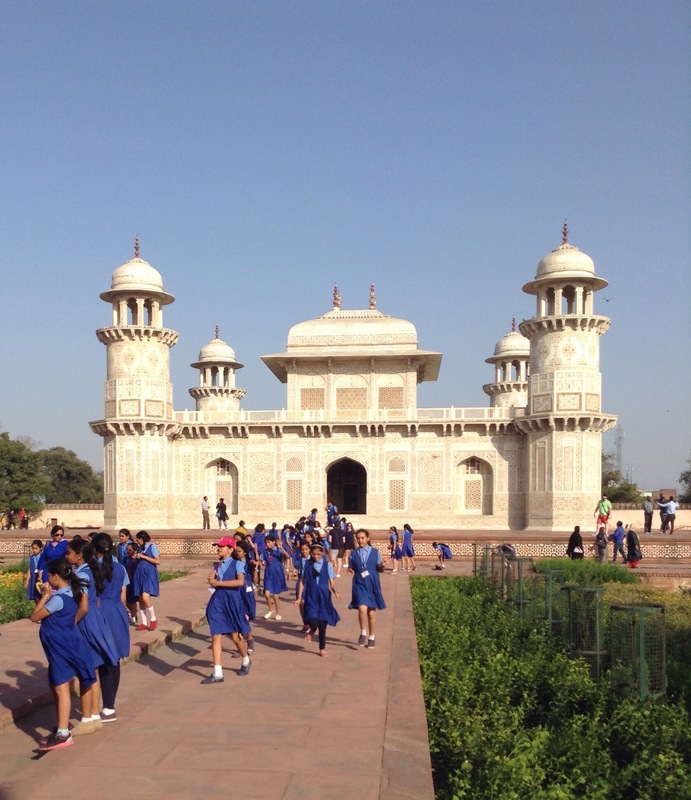 – The bright blue uniforms of Indian schoolgirls showing off their even brighter smiles while enthusiastically enjoying their visit of the Baby Taj. So much energy! – A group of Spanish tourists wearing traditional saris at the Taj Mahal. – Male visitors going three times faster than women in the queue to enter the Taj Mahal. – The same Spanish tourists complaining because the men were moving faster and as a French girl having a healthy passion for complaining I couldn’t agree more with them! – An Indian dad proudly wearing a pink beard and a pink moustache #nevertoopink. – Chewing-gum jam (or an unidentified Indian fruit) on morning toasts. 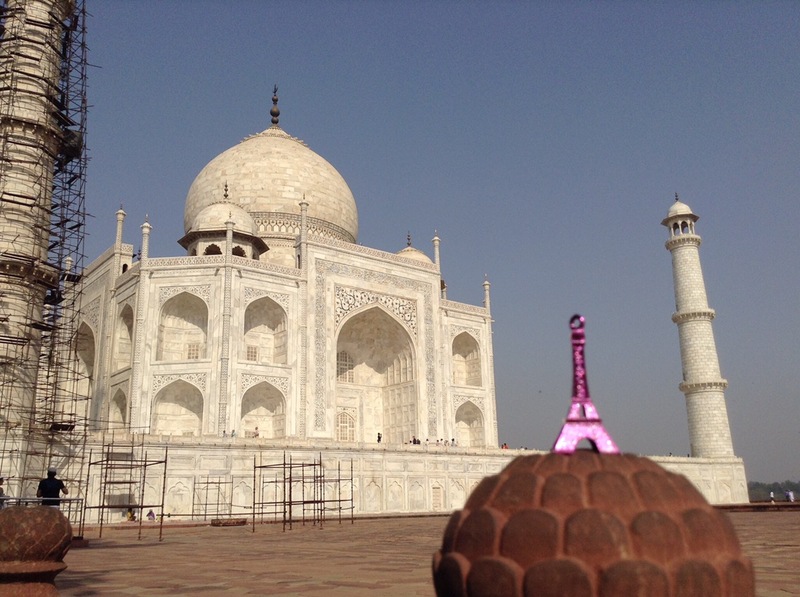 We saw the Lal Qila, the Baby Taj (beautiful), the Yamuna River and last but not least: we saw the Taj Mahal, on which we added a small Eiffel tower! Next Post Pack what? part 2 : cosmetics!